Embrace a new choral challenge and take advantage of the early bird offers for International Choral Festival Wales 2019. Apply before 01 June and receive a 25% discount on your application fee. Launched in 2017 by Artistic Director Eilir Owen Griffiths and his team, the inaugural Festival saw over 400 competitors from some of the World’s finest choirs compete at the world renowned Wales Millennium Centre in Cardiff Bay. 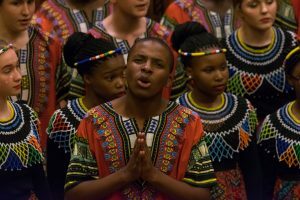 Competitors included The KZN Midlands Youth Choir from South Africa, Ukrainian Children Chorus “Pearls of Odessa” from the Ukraine and Britain’s Got Talent finalists, Côr Glanaethwy from Wales to name a few. Since its inception in Summer 2017, the Festival has received support and backing from highly influential musicians and collaborators, including Sir Karl Jenkins; Brit Award and Double-Classic Brit Award-winning composer, Paul Mealor; Grammy Award Winner, Christopher Tin; Internationally acclaimed conductors André Van Der Merwe and Ralph Allwood; and exceptional Welsh soprano, Elin Manahan Thomas. 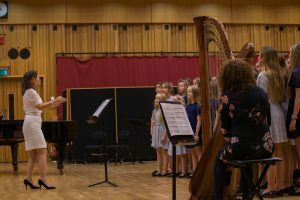 The competitive strand of the 2019 Festival will take place at the Wales Millennium Centre’s Hoddinott Hall and will include five categories: Mixed Choirs; Single Voice Choirs (SSAA/ TTBB); Open Category; Young Voices (under 25’s); Children Choirs. The climax of the competition will be the Choir of Choirs Competition where the five highest scoring choirs from across all categories will compete for the prestigious Sir Karl Jenkins Trophy. Running alongside the competition will be an exciting mix of concerts, informal performances and social gatherings. So, what are you waiting for? Push the boundaries of choral excellence and apply to International Choral Festival Wales 2019.